Beverage Pricing — Seattle Bartending Co.
Our alcohol service has absolutely everything your event needs for an amazing guest experience! We offer a variety of beverage selections & pricing options to accommodate your event's budget needs. with known and respected brands. View our non-alcoholic beverage displays and additional services/rentals by clicking here! - Standard Portable Bar with Table Back-bar as needed upgrades available - click here to view options! *Beverage rates do not include hourly service rate, tax (unless where notated), gratuity, or service charge. We do not include straws per City of Seattle ban, you can add compostable straws for a fee. Beverages will be provided at a flat per-person rate based on timing for the final confirmed guest count. ***Many Hosts choose this method to keep their final price simple & known in advance, instead of 'gambling' with on-consumption for their groups. Beverages will be provided, based on your selections, and charged as they are opened/ordered. Beer is charged per glass/bottle, Wine is charged per bottle (or glass for cash bar), and Mixed Drinks are charge per drink. Looking for Signature Drink recommendations? Click here to view great drink options for your event! HOSTED BAR EVENTS | All selected beverage offerings are paid-for by the Host along with the service rate, additional rentals/services, tax, service charge, and applicable gratuity. These events require a deposit to be paid with contract, which varies depending on selection between on-consumption & per-person pricing selections. We require a $500 beverage sales minimum per every 100 guests, if minimum is not met in beverage consumption the difference is charged as event service fee to the Host of the event. 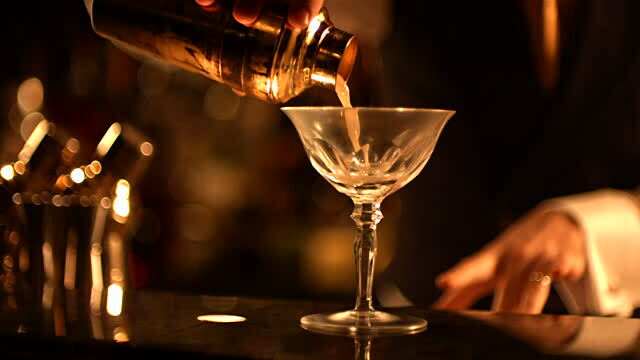 CASH BAR EVENTS | All selected beverage offerings are paid-for by the guest for each drink, as they are ordered. Tax and service charge are included within the beverage pricing, tip jars are displayed (and payment device for credit/debit purchases provide option) to allow for gratuity to bartender(s). Service rate and additional rentals/service are paid-for by the Host, along with applicable fees. We require a $500 beverage sales minimum per every 100 guests, if minimum is not met in cash bar sales the difference is charged as event service fee to the Host of the event.